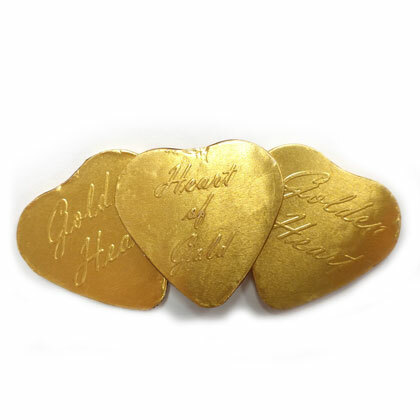 Gold foil wrapped milk chocolate hearts. Approx. 1.5 inches tall and 3.5 pieces per ounce. 6 ounce bag. Kosher Dairy. Imported from Holland by Gerrit Verburg.